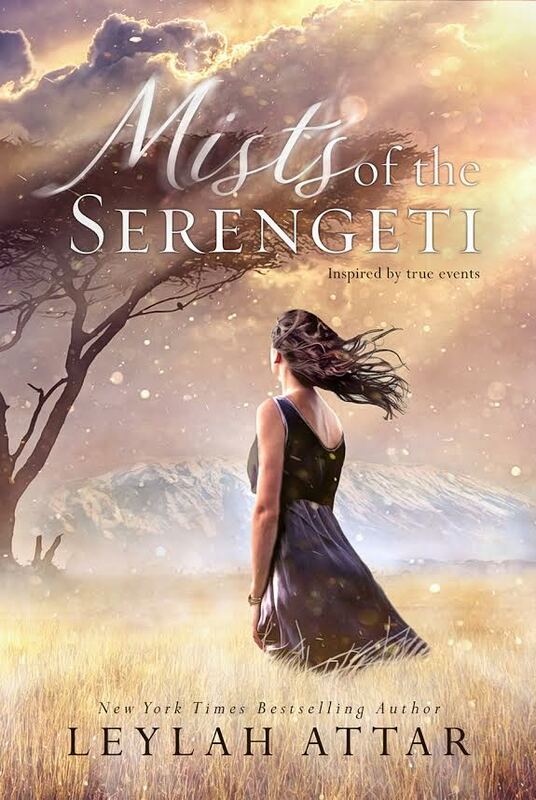 Coming January 31st is Mists of the Serengeti—a new standalone contemporary romance from the talented Leylah Attar. Together with some other awesome blogs, we’re giving you a sneak peek at the prologue. Follow the blogs below in order, so you can read the prologue in its entirety! And don’t forget to pre-order now through iBooks. It’s the happiest day of my life, thought Rodel Harris Emerson, as she signed her name on the dotted line. People assumed it was a man’s name, until they met her. It had happened two years ago when she’d applied for a teaching position in Bourton-on-the-Water, and it happened again when she’d messaged the real estate agent to see the property she was buying now, in the same golden-hued village—affectionately known as The Venice of the Cotswolds—in the English countryside. He had no idea. It wasn’t just a home; it was a dream she had chased her whole life. And now, at twenty-four, she finally had an anchor, the kind of stability she’d missed growing up in a family that traveled wherever her father’s job took them. It had been a good job, one that had afforded them the luxury of experiencing different cultures, different places, all around the world. But just as Rodel would begin to settle down and start making new friends, they would be off again. Her younger sister, Mo, thrived on it, as did her parents. They were explorers at heart, free spirits that craved new tastes, new sounds, new soil. But Rodel yearned for a rest stop, a little patch of comfort and familiarity—a real home. And now she had it, in exactly the kind of place that had stirred up her imagination since she’d first watched The Lord of the Rings and had fallen in love with the Shire. She had been twelve then, and it had remained lodged in her mind—a fictional, improbable ideal—until she was searching for job openings after college and came across Bourton-on-the-Water. There, in the heart of England, amongst the rural idyll of peaceful rolling hills, life was unhurried. Footpaths crossed scenic fields that bloomed with snowdrops in January and bluebells in May. Stone cottages nestled alongside tree-lined streets, and low, elegant bridges straddled the river. Rodel pulled out her phone and switched to the calendar. It rang just as Andy was about to get started. “My sister.” Rodel didn’t share the reason behind their unusual names. Their parents had named both daughters after the places in which they had been conceived: Rodel Harris, for the picturesque village of Rodel on the Isle of Harris in Scotland, and Montego James for Montego Bay in the parish of St. James, Jamaica. “Please go on.” She sent her sister’s call to voice mail. This wasn’t the time for one of Mo’s rambling chats. Besides, Rodel had big news to share. The I-bought-a-house-so-you-need-to-get-your-arse-down-here kind of news that she’d been dying to share once everything was finalized. “I can wait if you want to take it.” Andy was chatty and overly accommodating. Rodel had a feeling that his interest in her stretched beyond the professional. They were seated on opposite sides of the kitchen counter in the restored seventeenth-century cottage that Rodel had just purchased. It was a tiny two-story home, but it had an open living area with exposed wood beams, a book nook, and a sunny terrace steps from the river. It was close enough to the school for Rodel to walk, but set in the secluded backwater at the edge of the village. Rodel couldn’t wait to move out of the room she’d been renting for the last two years. “The sellers have agreed to an early closing so you can have the place in a couple of weeks.” Andy went over the dates. “That’s perfect.” It meant that Rodel would have the summer to settle in before the school year started in September. “Thank you,” she said, as they concluded their meeting. Another time, Rodel would have turned him down. She had been so focused on working toward her dream of owning a home that her social life was practically non-existent. It didn’t help that she was a book nerd. She had book boyfriends that no flesh-and-blood man could ever live up to. She might have sought tranquility in a home, but in a man, she wanted the tempest—Strider, Aragorn, King of Gondor. Another fictional, improbable ideal. Yes, Lord of the Rings had quite possibly ruined her. She had found the Shire, and she had claimed her Hobbit-hole, but she was pretty sure she would have to recast the hero. Kings like Aragorn simply did not walk among mortal men. “A drink would be nice,” she said to Andy. “Well then…” He looked chuffed as he led her to his car—a compact, white hybrid. They drove to a small, rustic pub overlooking the river. The rough, hewn wooden tables were snug, barely wide enough to hold their beers, and their knees touched as they sat across from each other. To win an eARC of Mists of the Serengeti by Leylah Attar, to be sent directly to your Kindle, just share this post using the social media buttons below, then come back and leave a comment. Contest ends on 29 Jan 2017 noon CST, and is open internationally! Congrats Milena! You’re my winner! Just emailed you! I absolutely love Leylah Attar’s writing, and the story sounds really amazing. Shared on Facebook and Twitter, thank you! Awesome! Shared on Twitter, FB and pinterest!! So excited to read this!! LOVE her books!! Have shared on facebook!! Counting down the days and it just so happens I’m going on a spa day on the release date so I get a whole day to just read!!!! Shared on my Twitter and Pinterest. Thank you!! ? Shared on Twitter. Excited for this one. Thanks for the chance!! Shared on twitter 🙂 Thank you for the chance! Thanks for the chance. I can’t wait to read this book. Shared on Facebook ❤ can’t wait to read this! Shared on facebook! I seriously cannot wait for this book!